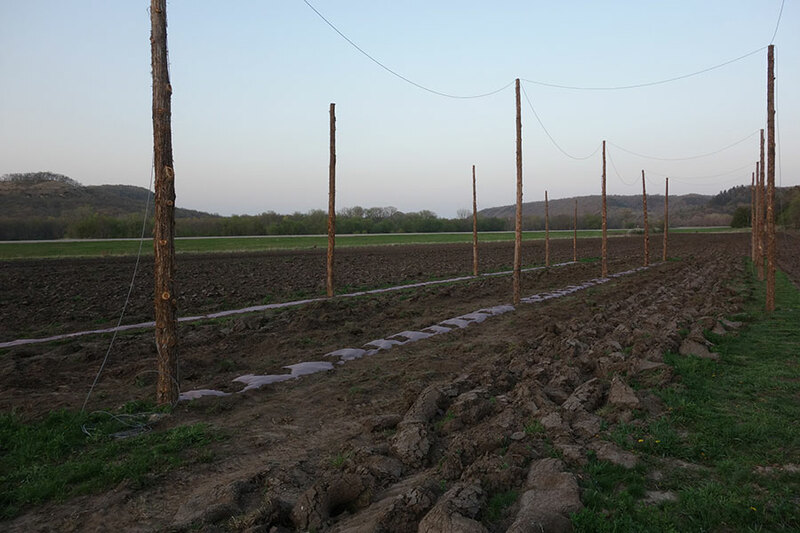 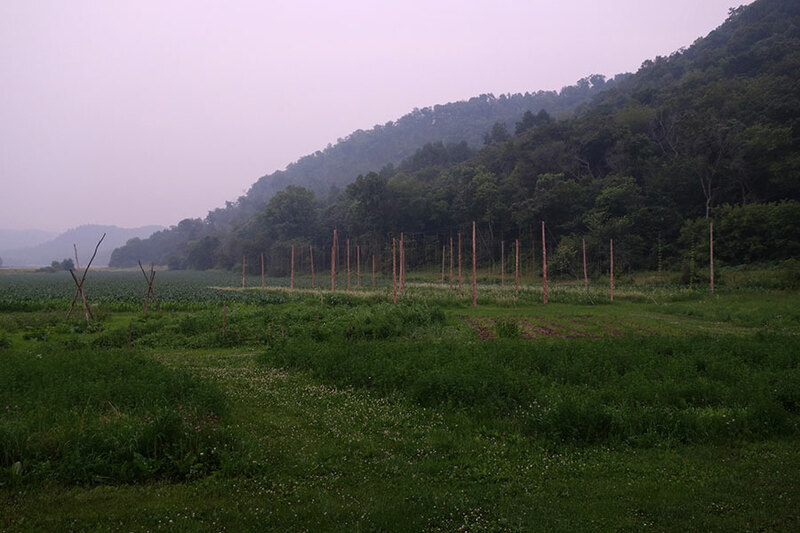 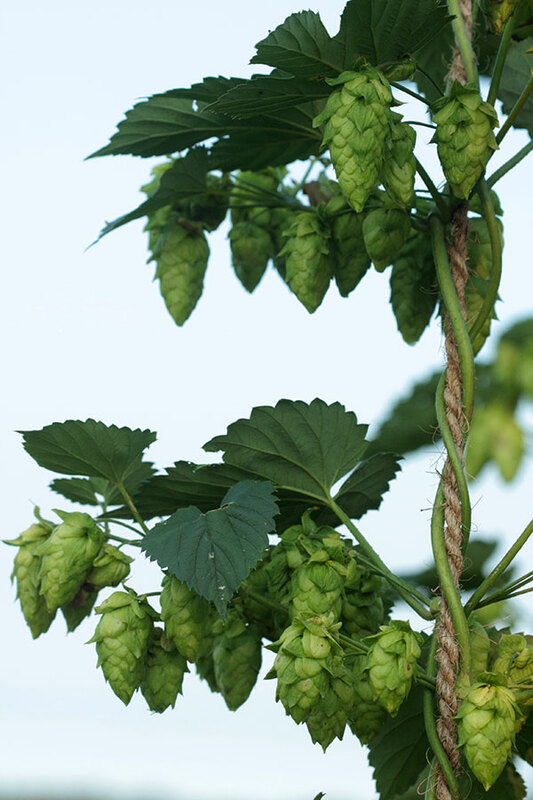 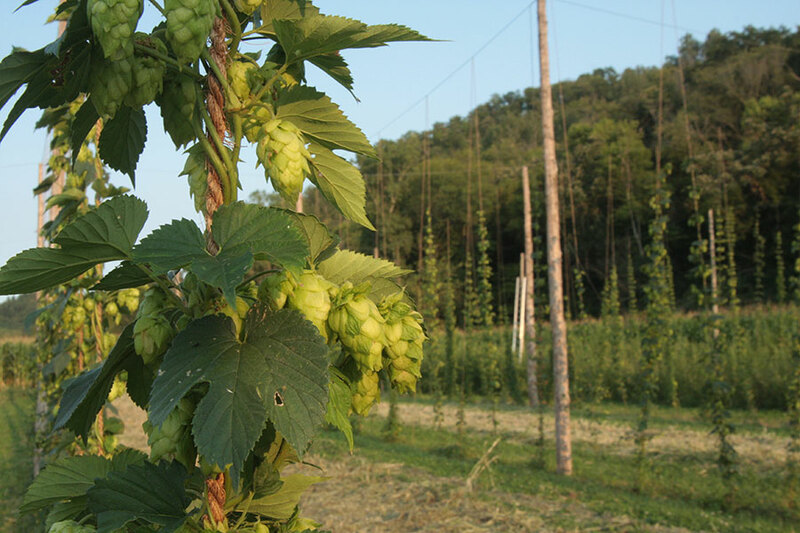 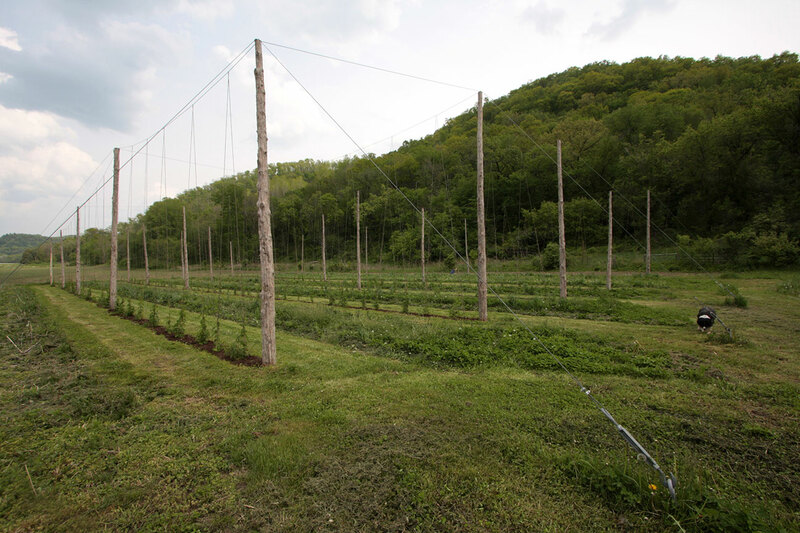 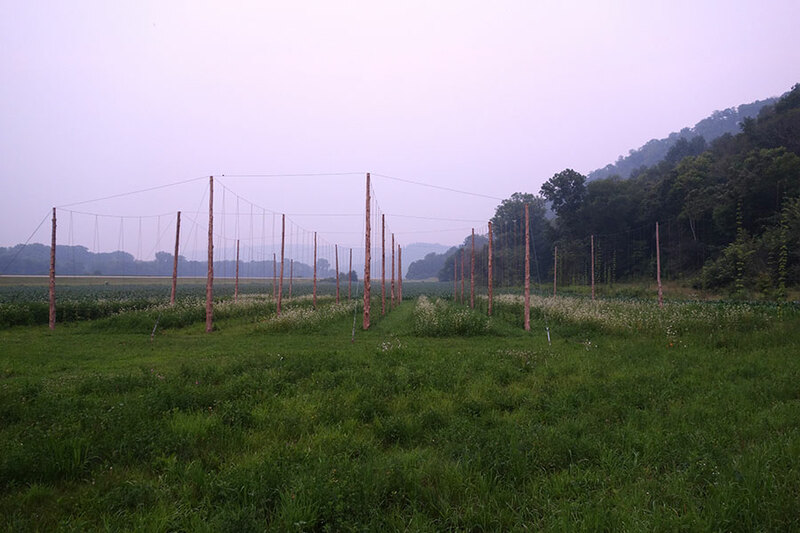 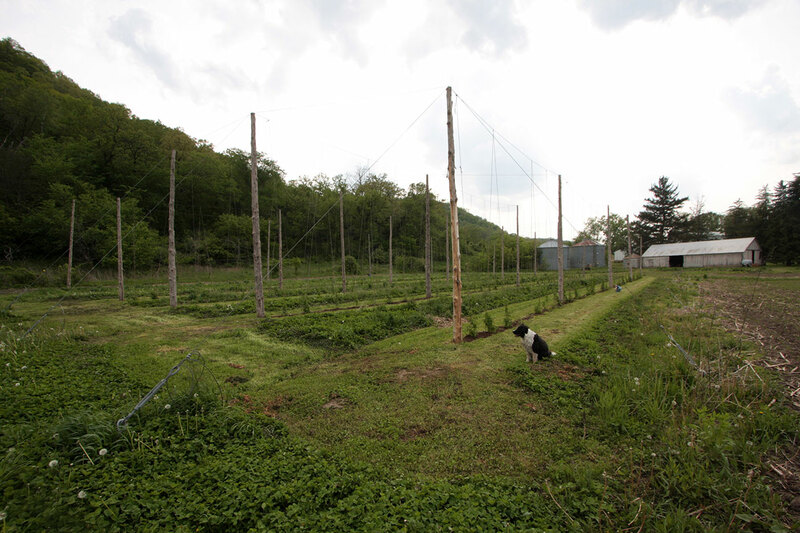 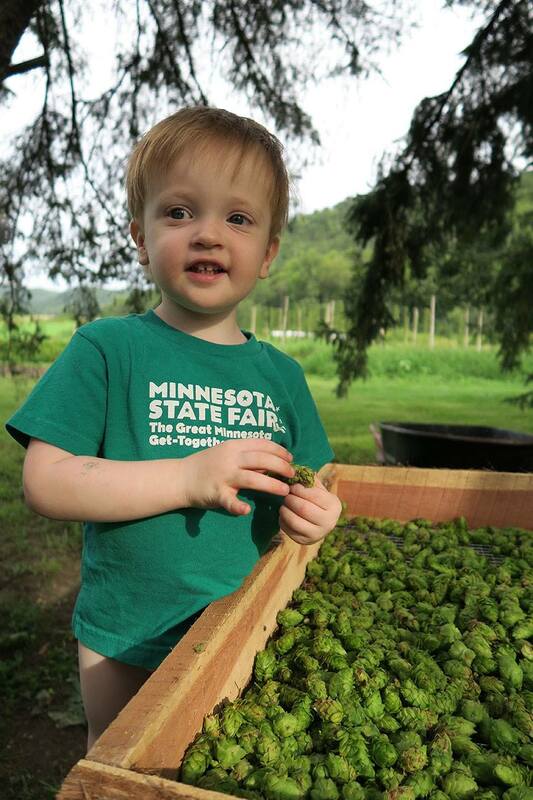 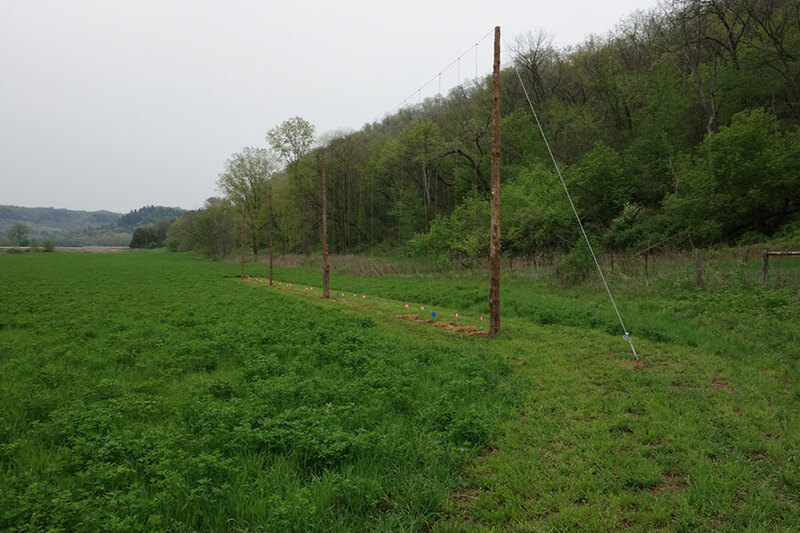 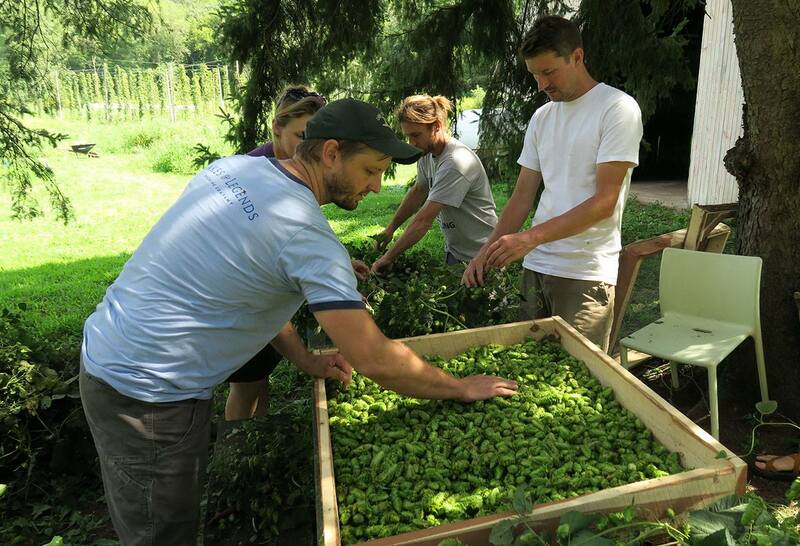 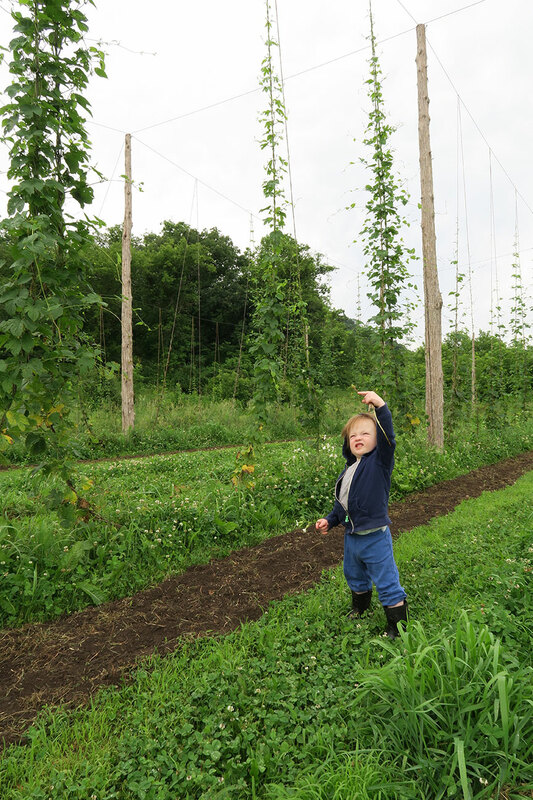 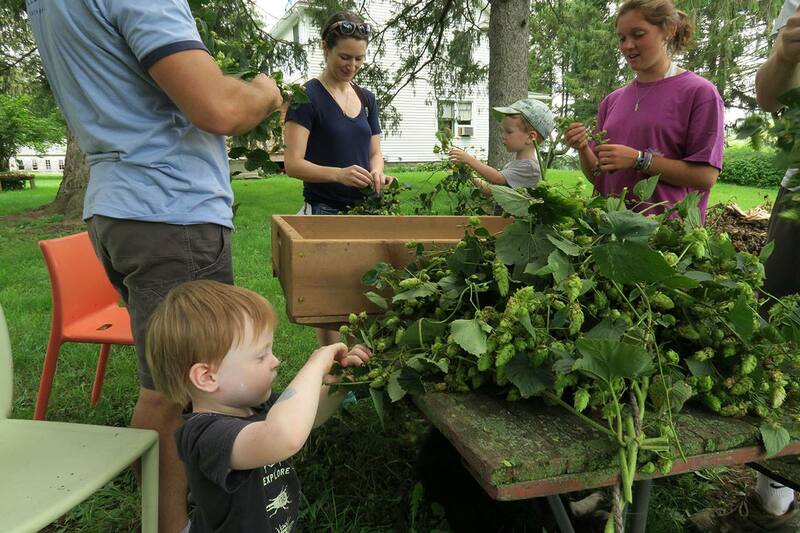 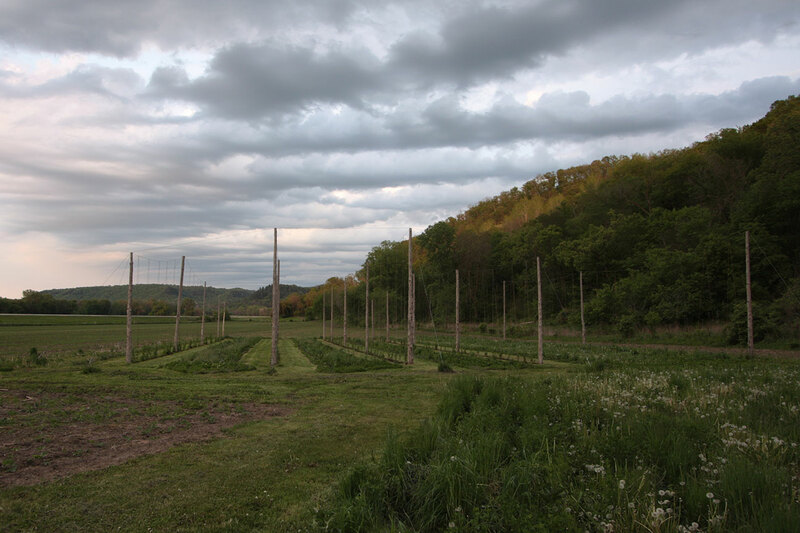 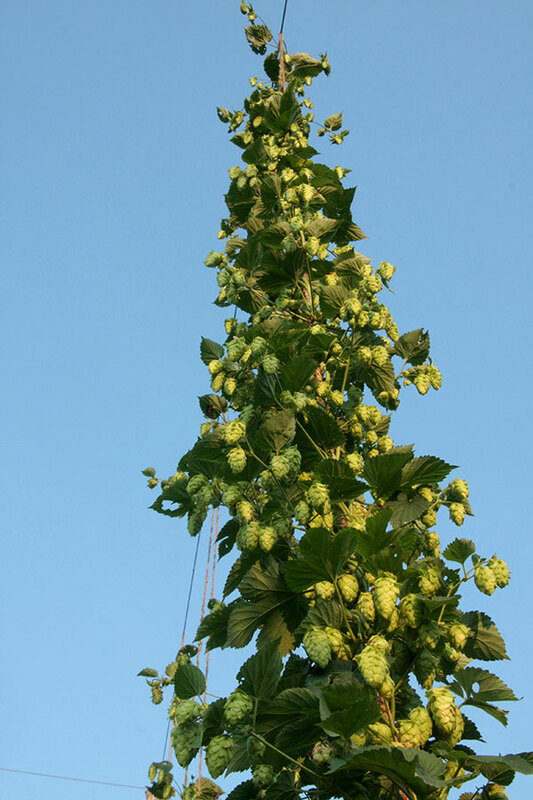 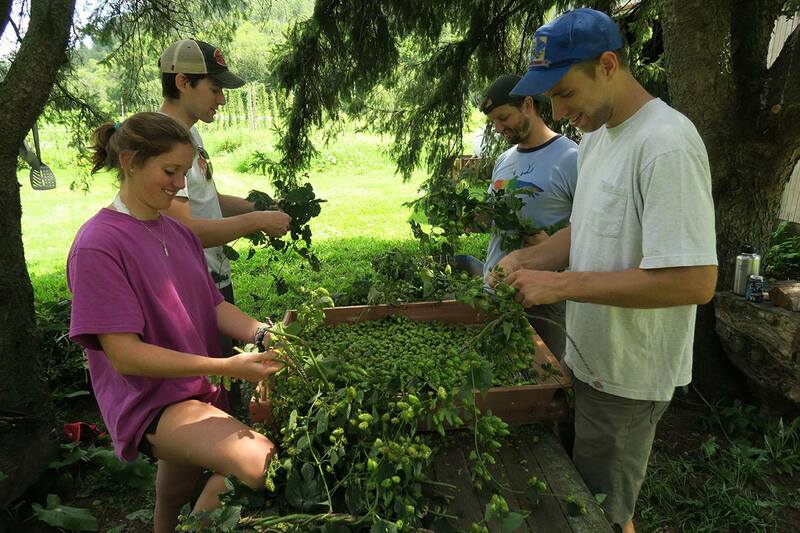 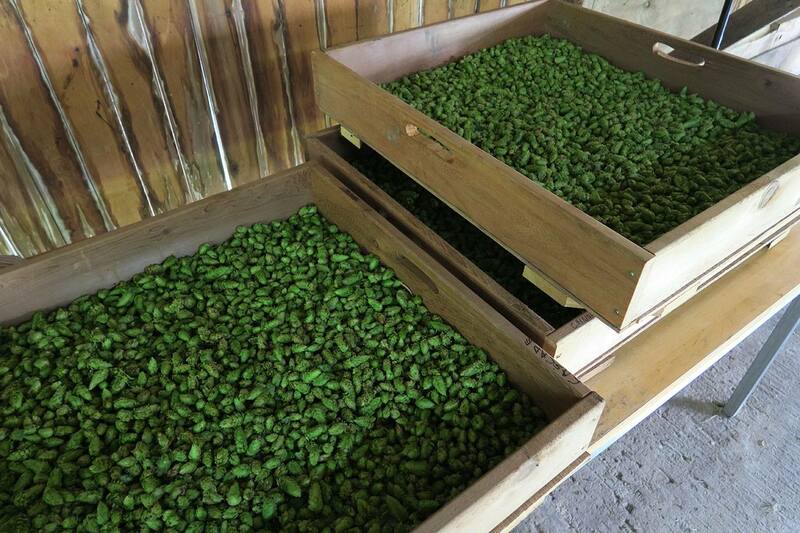 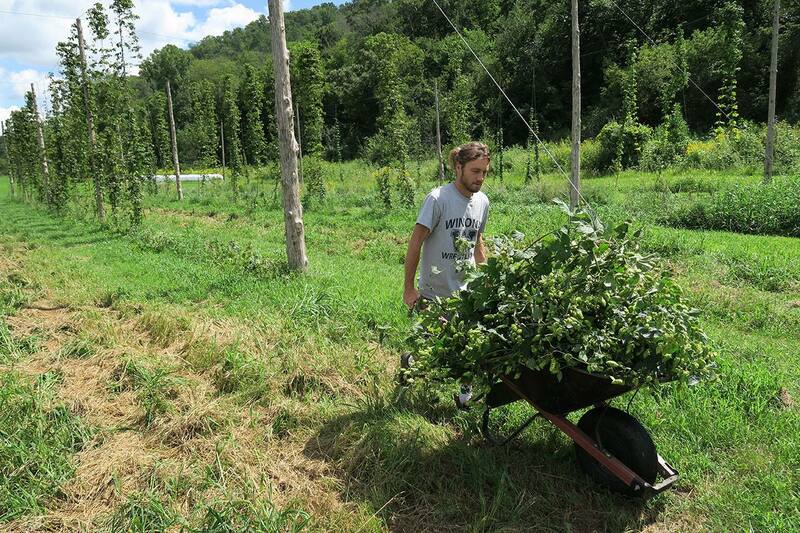 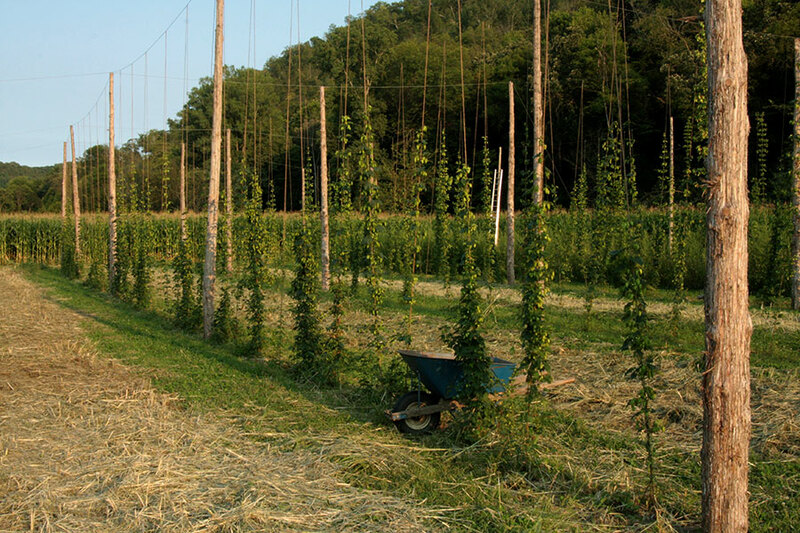 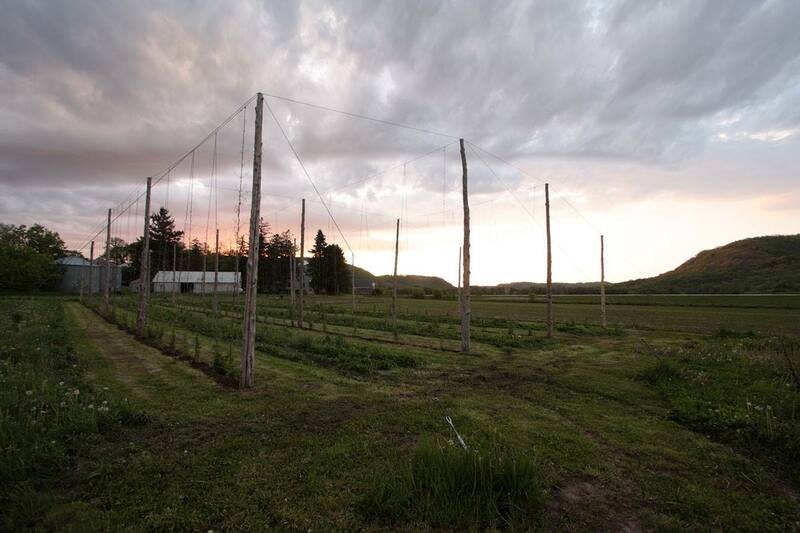 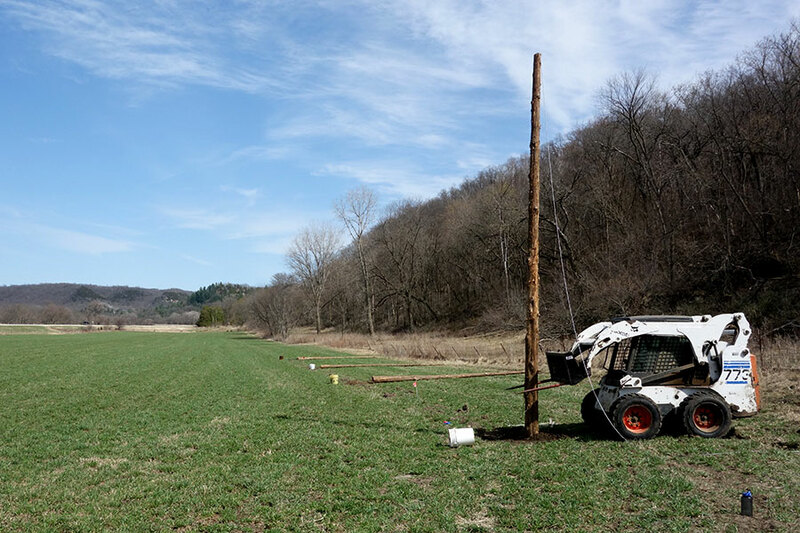 We are a small-scale hop yard located in the Root River Valley of Southeastern Minnesota. 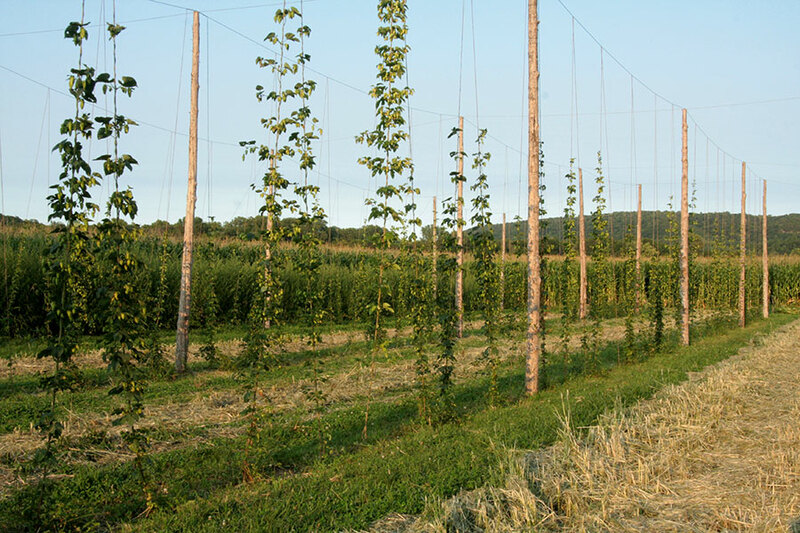 Planted in certified organic grounds, our ¼ acre hop yard has two primary varieties: Cascade and Newport. 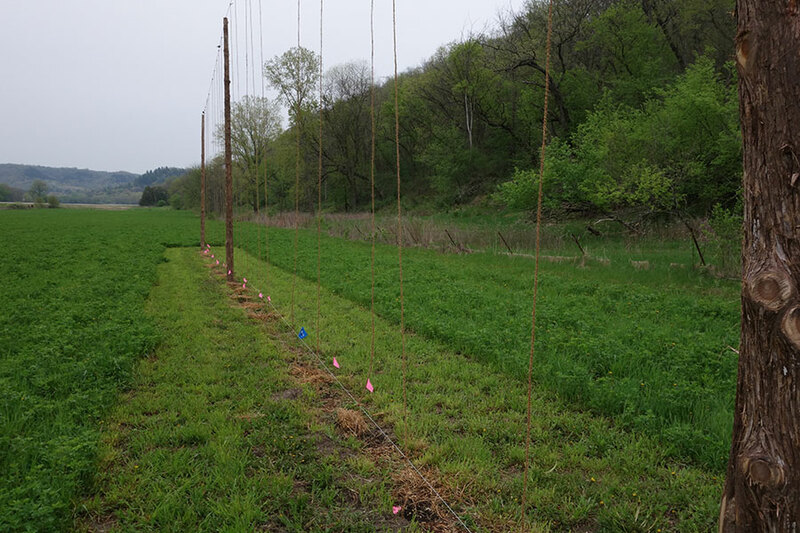 We also maintain a test row with five additional varieties that we are observing for potential expansion: Chinook, Fuggle, Mt. 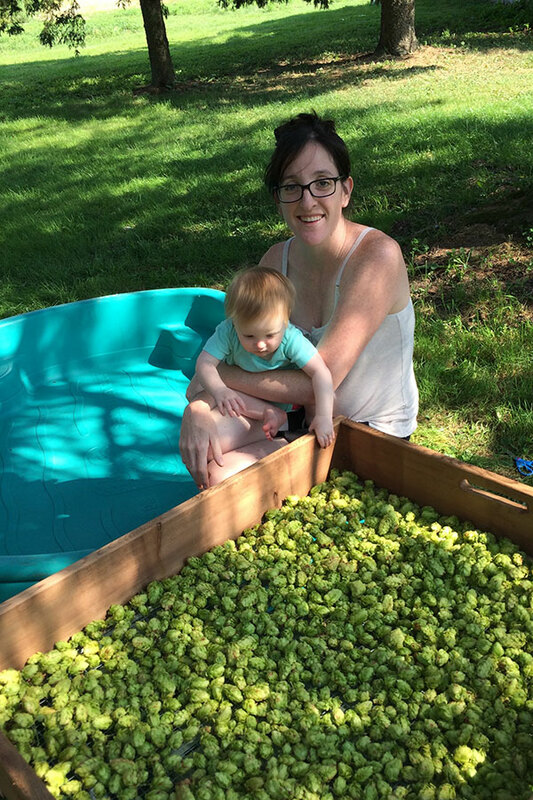 Hood, Nugget, and Willamette. 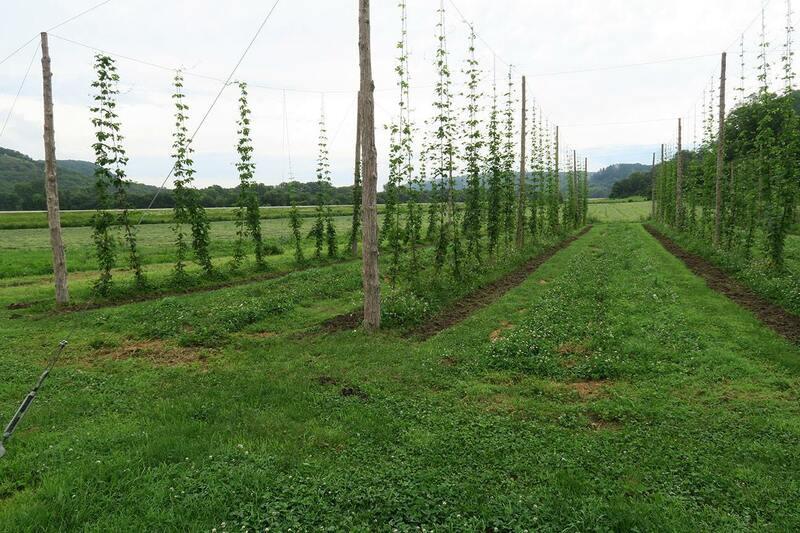 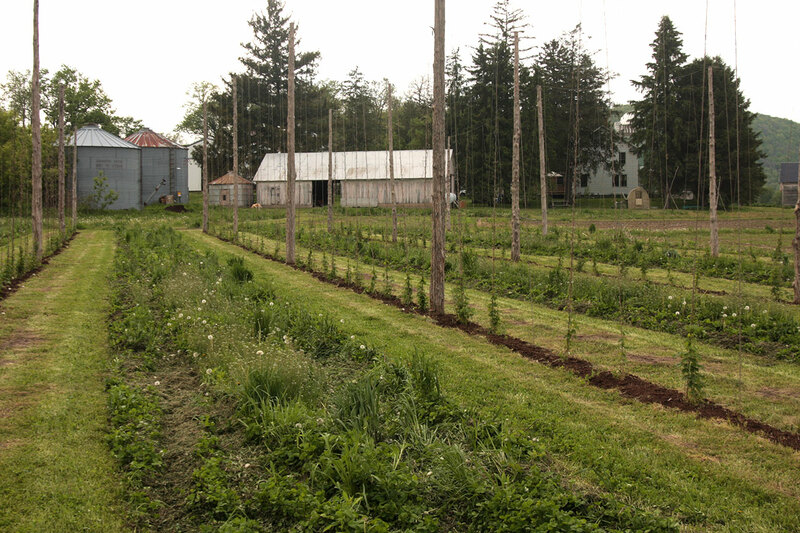 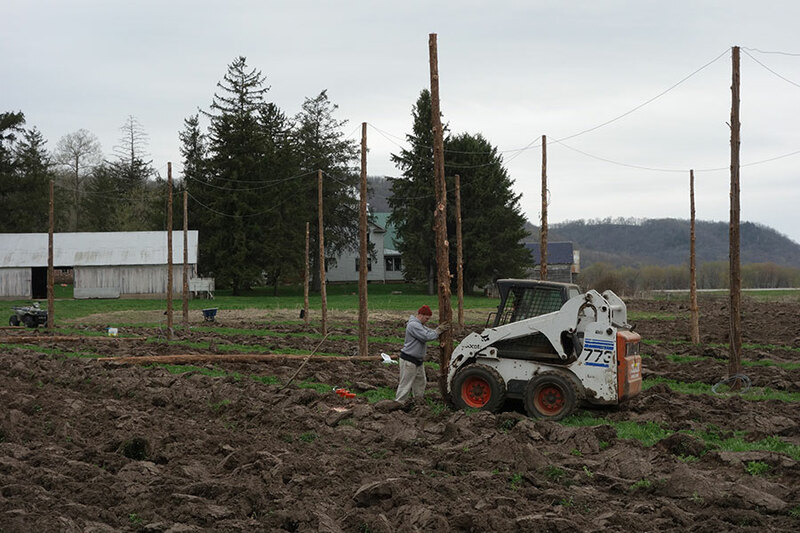 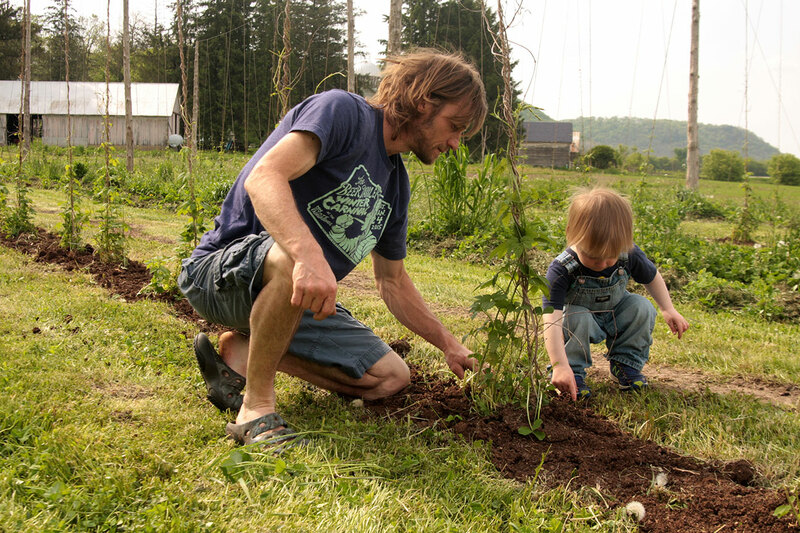 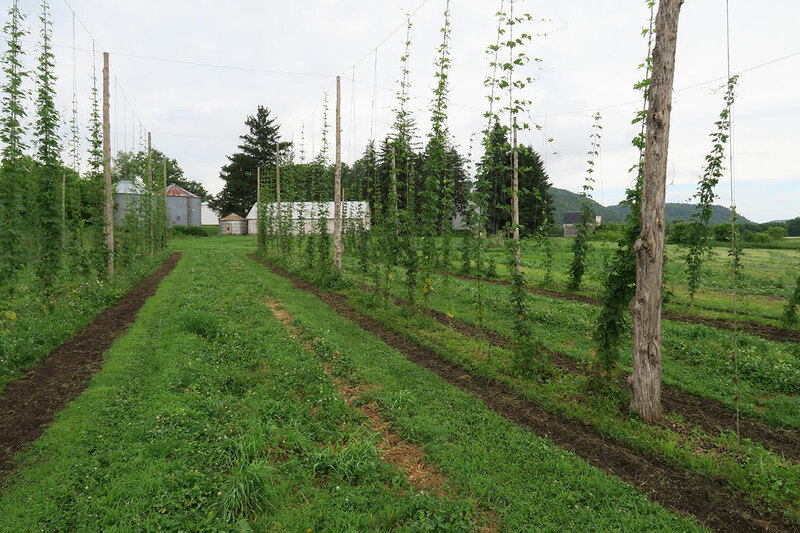 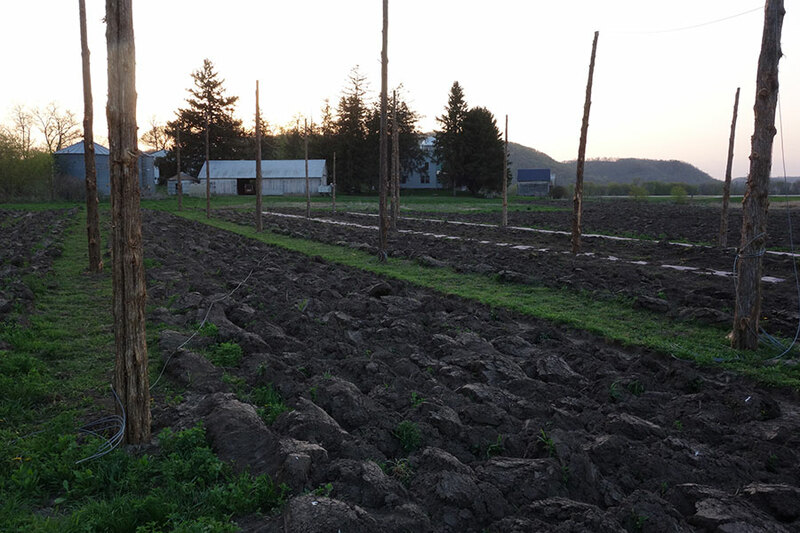 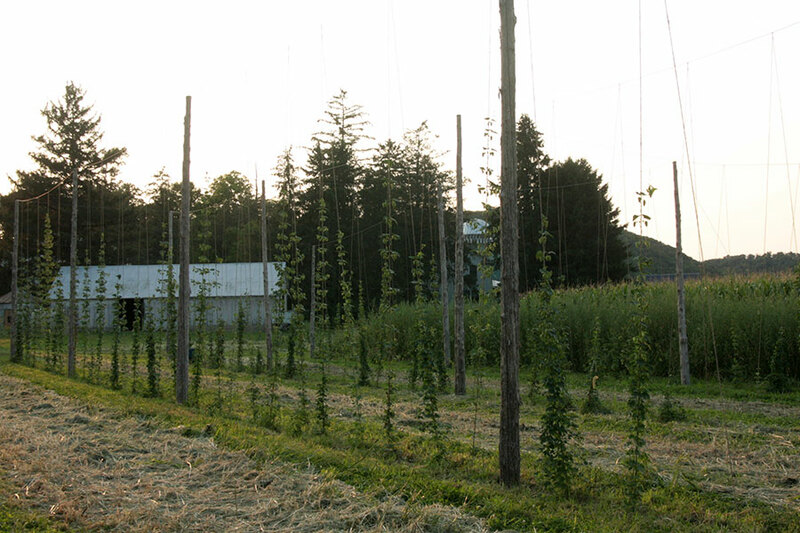 Our dedication to sustainable farming practices is evident in our hop yard. 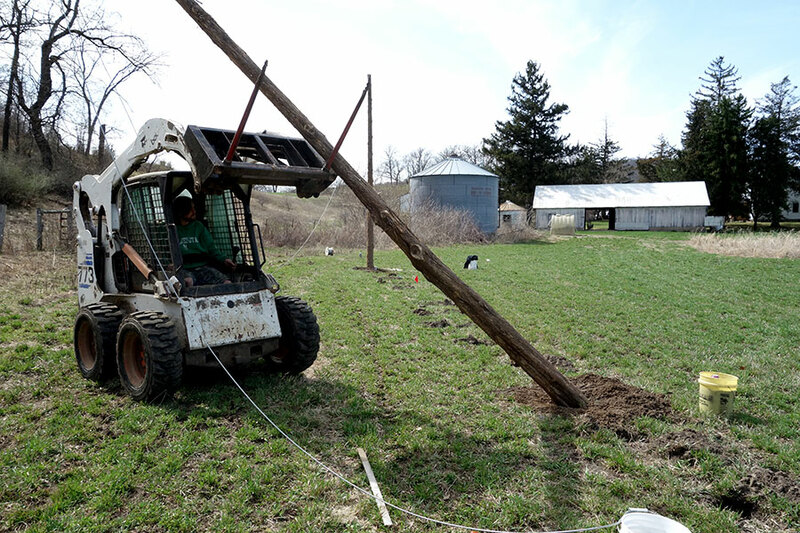 Our methods are 100% organic. 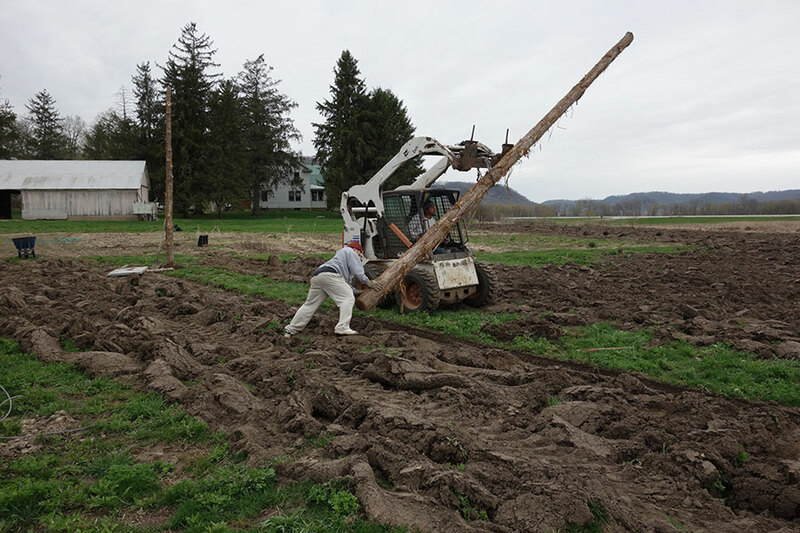 We do not use sprays, fertilizers, or pest deterrents that threaten the natural balance of our local ecosystem. 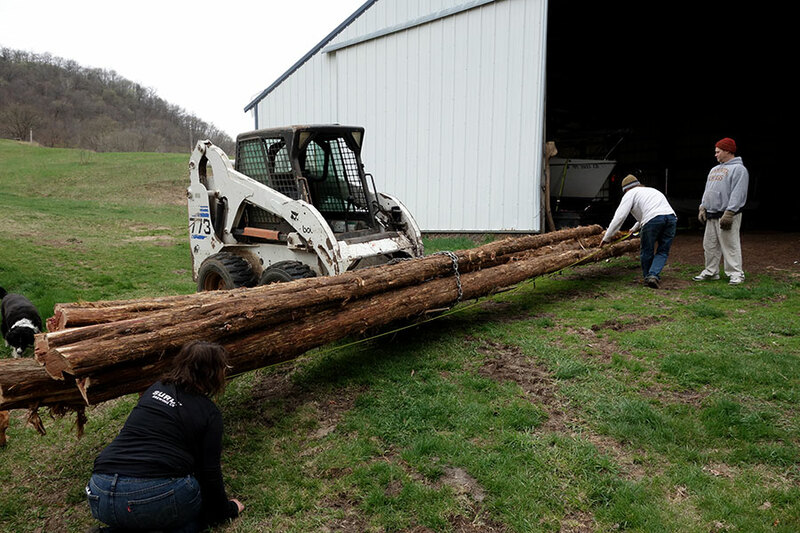 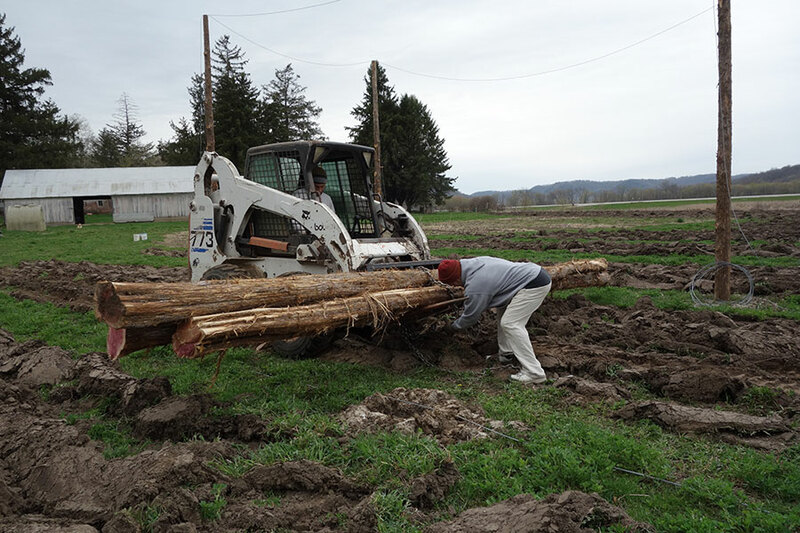 We built our yard using cedar posts harvested from our woods, free-range chickens help with fertilizing and pest control, and we utilize cover cropping in the alleys to minimize weeds and revitalize the soil.